A compassionate and knowledgeable attorney, Mr. Crandall has more than 35 years’ experience obtaining the maximum compensation on behalf of those injured in accidents as well as the result of medical malpractice. 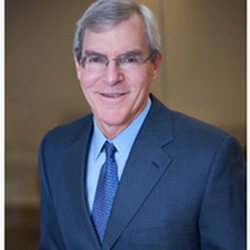 A highly experienced Personal Injury Attorney & Medical Malpractice Lawyer, David P. Crandall is one of the most respected and knowledgeable accident injury and medical injury professionals in Laguna Hills and throughout Southern California. In the Heart of Laguna Hills. Welcome to the Law Offices of Laguna Hills Personal Injury Attorney & Medical Malpractice Lawyer David P. Crandall. A seasoned negotiator and talented litigator, Laguna Hills Attorney David Crandall works diligently to ensure favorable outcomes for those who have been injured due to another’s negligent or intentional acts. Whether you or a loved one has been harmed as the result of an accident, use of a dangerous or defective product, or have been the victim of medical malpractice, Personal Injury Lawyer & Medical Malpractice Attorney David P. Crandall is here to help you get the fair and reasonable justice you deserve. Please contact Laguna Hills Lawyer David Crandall as soon as possible at (949) 727-3610 to make an appointment for a free, in-depth consultation. Failure to take action in a timely manner may result in the permanent waiver of your right to receive compensation for all injuries sustained. If you are unable to come to our office, Mr. Crandall will meet with you in your home or hospital room. During your consultation, he will review the circumstances leading to the harm you have suffered, and will provide a comprehensive case analysis. Dedicated to providing the highest quality legal counsel, Laguna Hills Medical Malpractice & Personal Injury Lawyer David Crandall will bring in Experts as necessary to present the strongest case possible. Proud to offer personalized legal representation, all client communications will be addressed in a timely manner, and you will be kept informed regarding the status of your case. Additionally, Attorney David P. Crandall will handle every aspect of your case, from start to finish. Since 1981, Mr. Crandall has successfully represented thousands of personal injury and medical malpractice clients, fighting to preserve and protect the rights of the injured. Laguna Hills Personal Injury Attorney David P. Crandall handles all Personal Injury matters or accident injury cases on contingency. You won’t be billed for any attorney’s fees until Lawyer David Crandall secures an acceptable settlement or judgment in your favor. For additional information, please complete our Laguna Hills Personal Injury Case Evaluation Form and Lawyer David Crandall will contact you as soon as he reviews the information provided. In addition to handling Personal Injury matters, Lawyer David Crandall is also a highly experienced Medical Malpractice Attorney who has obtained numerous high-dollar settlements and judgments on behalf of those who have been injured at the hands of healthcare providers. Should you suspect that either you or a loved one has been the victim of subpar medical care or nursing home abuse, please contact the Law Offices of Laguna Hills Medical Malpractice Attorney David Crandall. Mr. Crandall possesses a unique and thorough understanding of Medical Malpractice cases. Throughout the course of his 35+ year career, he has successfully obtained monetary compensation for individuals and the families of loved ones who have fallen victim to Medical Malpractice and Nursing Home Abuse or Neglect. He will fight zealously to protect your medical and financial interests and to obtain fair and just compensation for all harm suffered. 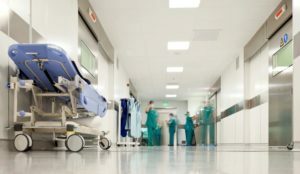 If you or a loved one has been injured in an accident, by use of a dangerous or defective product, been the victim of medical malpractice, or have suffered injuries due to nursing home abuse or neglect, the Law Offices of Laguna Hills Personal Injury Attorney & Medical Malpractice Lawyer David P. Crandall is here for you! A boutique Law Firm, at the Law Offices of David P. Crandall, our primary focus is obtaining monetary compensation for accident injury and medical malpractice clients. Since 1981, Mr. Crandall has vigorously fought for those who are unable to fight for themselves. Personal Injury Attorney David Crandall works with numerous experts, including accident reconstructionists, investigators, and medical personnel to craft and present the strongest case possible. Please contact the Laguna Hills Law Offices of David P. Crandall today by calling (949) 727-3610 to schedule a free, comprehensive consultation with one of the area’s leading Personal Injury and Medical Malpractice lawyers. If you or your loved one cannot come to our office because of your injuries, Mr. Crandall will come to you! Conveniently located in Laguna Hills, Attorney David Crandall represents clients throughout all of Orange County. Call today to learn how Mr. Crandall can put his experience to work for you and obtain the maximum monetary compensation and damages for you and your loved ones.